How Do I Know Glasses Will Fit Or Suit Me? What About Fitting Of My New Glasses? What Lens Choices Do You Provide? I Have An Astigmatism - Can I Still Order? 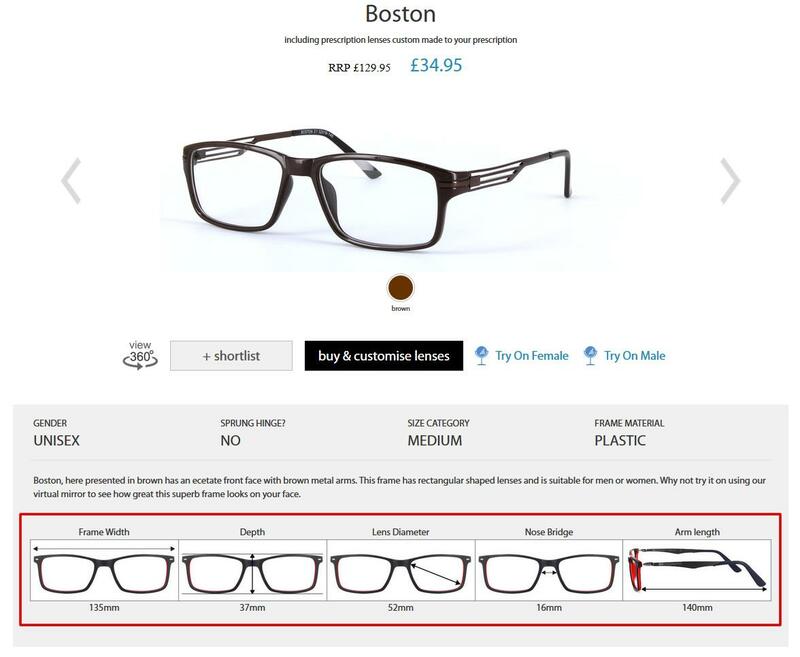 Are Glasses You Sell As Good As My Optician? All our frames show all the dimensions when you go in to the product details of a particular frame (example below). This includes the overall width and height of the frame in question. Simply measure a frame you have at home that is comfortable to wear and compare it. If your frame is within 5mm of the size of the frame on our site, you can safely say it will fit. What about style and whether it will suit you? 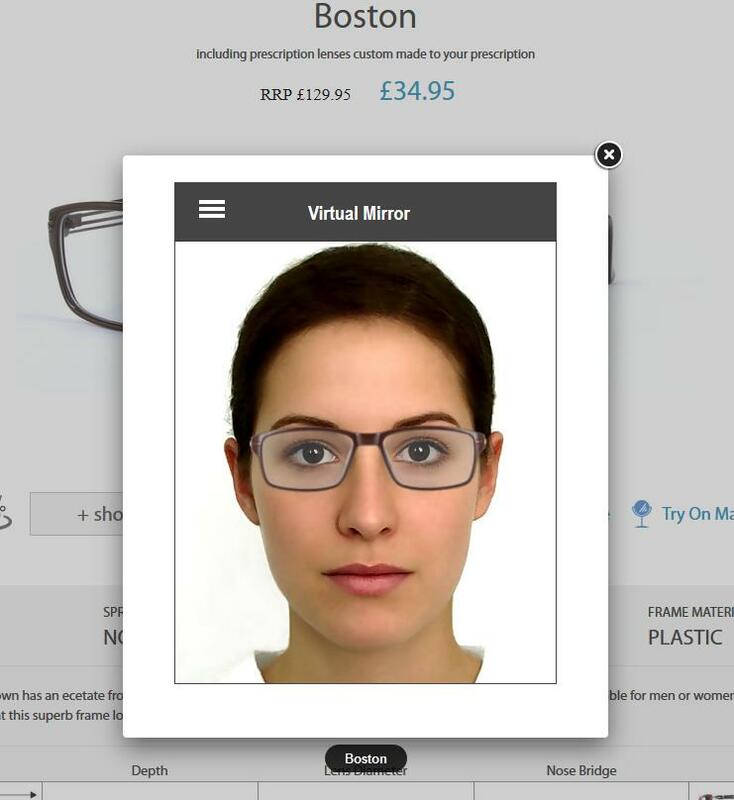 Firstly, we have a really good and easy to use virtual mirror. Simply upload a passport style photo and try on as many frames as you like. Save any frames you like the look of as a favourite and then you can compare several together on your face using the mirror. Secondly, most of us through experience of buying glasses over time pretty much at least know what styles do NOT suit us, so it’s fairly easy to eliminate many. Regular whopping discounts OFF our already highly discounted prices. Thus ensuring that any time you need a new pair of glasses, you'll already be in possession of an excellent special offer!